Honey Bootique: Lili Of The Valley- Back To School Boy! Lili Of The Valley- Back To School Boy! Today I'm sharing another non-Christmas card and it's a very special one! My amazing little boy is actually going to be 5 very soon! I can't believe it!! I coloured the image with copics and added some white gel pen. 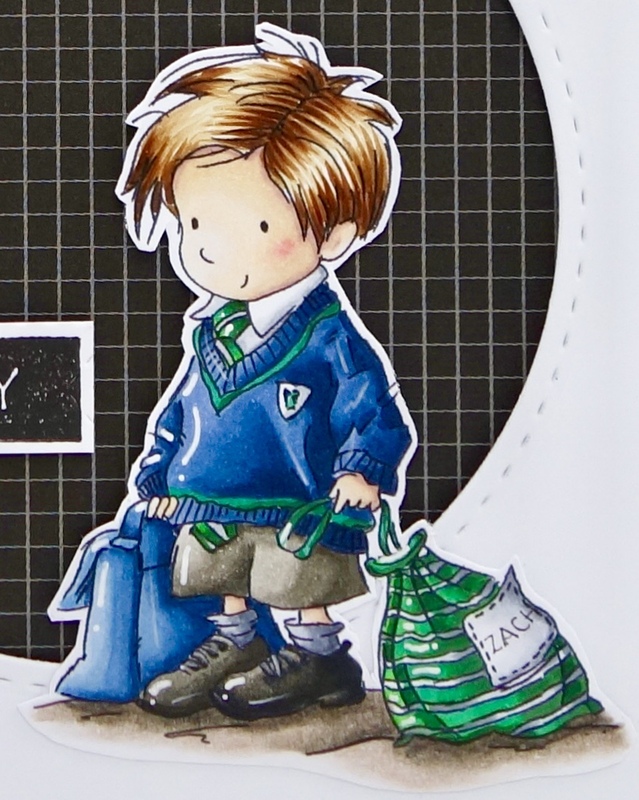 I coloured in his school uniform colours which I think he's going to love. He's even got a book bag like that!! I then fussy cut out. I created an aperture in a panel and laid PTI gridded paper behind. I then raised up the panel and boy on 3d foam pads. 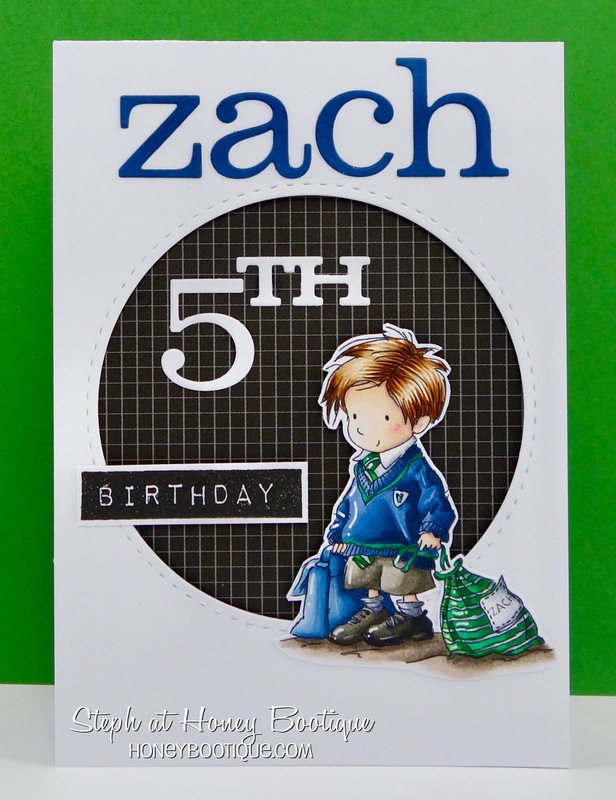 I then die cut "zach" and "5th" using PTI dies and adhered them with glue. Finally I stamped the sentiment and raised up on 3d foam pads.